Kids Learn JAVA While Creating Their Own Customized Minecraft Server Kids ages 8-14 can learn professional Java programming as they design and build their own customized Minecraft server and share with friends. Traditionally, creating your own Minecraft server has been complicated and requires hosted solutions for your server. With our instructional online course, we teach you the critical components for creating a custom Minecraft server while providing the hosted server for up to one year. For the life of the course, students can enjoy endless coding with a targeted amount of playtime with friends. What your student will learn: -- Includes over 30 hours of self-paced, engaging lessons. 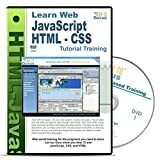 --Learn to code Java --Basic programming concepts including methods and parameters, if-then and if-else statements, logical operators, variables types, and more. --Use a professional Java development tool --Create a customized server with secured sharing capabilities Youth Digital is in no way affiliated with Minecraft /TM & 2009-2015 Mojang / Microsoft. 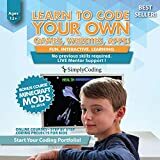 Give your children a leg up on the future with a fun, engaging way to learn computer programming! Get your kids some time away from the Xbox, Nintendo, or Playstation and start HELPING THEM NOW! Don't consume it! Create it! Few careers are more in demand than those who can code. For children interested in this fun unique skill, there's no better way to learn than Simply Coding Learning Program. Simply Coding Course Pathway is designed by coding professionals and the help of thousands of young students who use our software in and out of school. Carefully designed to teach kids not only how to code, but how to be innovative, creative and think critically. Our coding program prepares young coders for the future. Have fun coding your own games, websites, apps, and more. ACTIVATION INSTRUCTIONS: You will receive access to an online class via the PIN on the back of this gift card. You will then be directed to our website where you will create an account and gain admittance to our comprehensive online classes consisting of videos and tutorials. You'll get 45 days of full membership benefits - access to all our courses and unlimited chat support. Your 45 day membership begins after you enter the pin. After the 45 days if you wish to continue as a member the cost is $29 / month (15% off). You can cancel your account at anytime from the parents login or email us. Start learning how to code today simply by clicking "Add to Cart" above! As one of the most widely used programming languages in the software industry, Python is desirable to both learn and teach. Introduction to Programming Using Python is designed for students eager to learn about the world of programming. Applicable to a range of skill levels, this First Edition textbook provides students with the tools to harness the powerful syntax of Python and understand how to develop computer programs. The compactly written text leverages highly focused chapters, diving deep into the most significant topics to give students an in-depth (rather than superficial) understanding of the language. Using real-world examples and data, the author illustrates practical usage of Python in a way to which students can relate. The text itself is readable, organized, and informative, discussing main points of each topic first and then addressing the peripheral details. Students learn good programming habits the first timeâbringing them in line with the best modern programming practices.